You buy a carrier to take them everywhere with you. 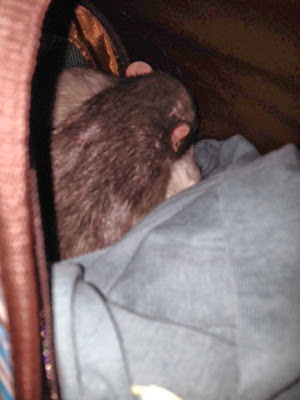 Romulus sticking his head out. Yep, that's me, the crazy rat lady. 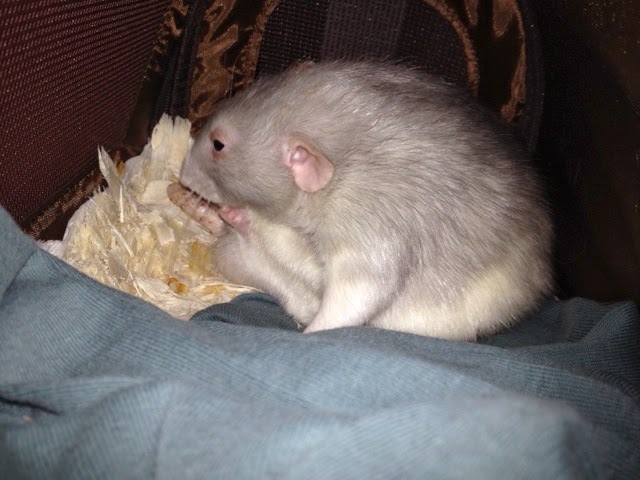 I love my ratties so much! I spoil them rotten (which is part of why they are chub-sters). I have been trying to get them used to coming out with me. They handle it well, actually. So I got a ferret carrier for them. I put in some bedding and an old shirt that they like to burrow in inside the carrier. I have to be creative, but I plan to cut a little hole that I can stick a water bottle into in case we have a longer trip. And they have really taken to the carrier! They like it! Romulus washing Remus's face inside the carrier. So there you have it. 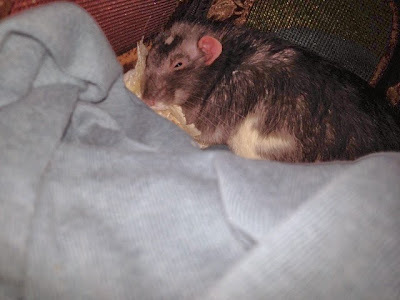 When I'm not doing schoolwork, I spend as much time as possible with my rats! 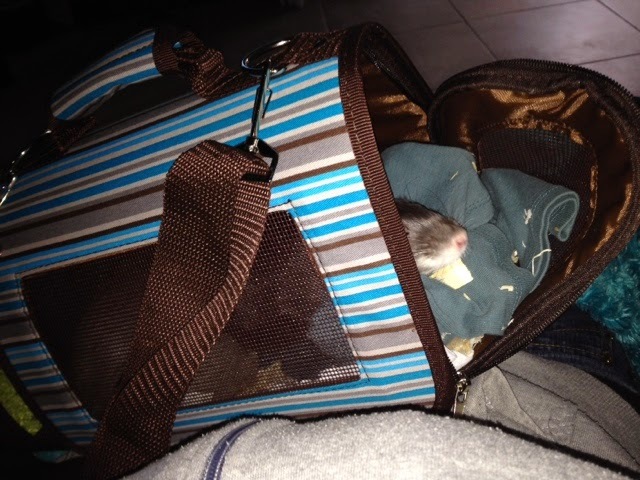 Sleepy rat in his carrier! Remus washing in the carrier.